BUYER NEED? WE CAN HELP FIND A MATCH! 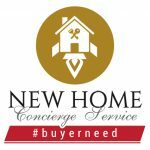 Try our FREE New Home Concierge Service for Real Estate Agents! Simply send us your Buyer Need and we will send it to the top Home Builders in the greater Austin Area. If they find a match, they will contact you directly! It’s that easy! Please be as detailed as possible to find the closest match. Include: area of town, price range, time frame for move, # of stories, bed/bath count and anything else that is important to your buyers. I sent in a buyer need through your concierge service, immediately received responses from several communities & put my clients under contract the following week. Y’all save me so much time!! I can’t thank you enough. Thank you Builder Boost for your Concierge Service! I received 6 email responses + phone call/text within minutes and hours of my initial request. It was very helpful, especially in a last minute pinch when I didn’t have time to make calls or do much research. My last buyer need request was amazing! I received information about a community I hadn’t thought of for this particular client and they loved it. My clients ended up falling in love with William Lyon at the Trails of Leander. Thanks for your help Builder Boost!!! I recently discovered the new builder boost feature called buyer need. It was a great tool that I could use for my clients. Instead of having to call each builder and see what standing/coming soon homes they had available. I could just type what my client was looking for just like an MLS search. Within minutes I received the first email with all the homes that fit my exact criteria. It’s amazing that we have access to such great products and features like this. Builder Boost makes you an expert in all facets of real estate. I can’t wait to see what they come up with next! I used your buyer need search again and had a wonderful response! Plus, I had some responses of homes just back on the market from buyers backing out. I would not have had this knowledge if had not used the service. Thanks again for making me look like a rock star!!! Several builders responded to my buyer need when using your service. It is very helpful. Thank you! I primarily sell new homes and this service is so helpful to saving me time and even uncovers opportunities that are not published yet. I absolutely LOVE it! Thank you for offering this valuable service! It is such a tremendous help. The response was amazing, thank you! I can’t wait to use it again for other buyers. The Buyer Need Concierge Service is such great resource! With one request, I had several builders responding right away. A few builders reached out just to see if my client would consider going out a little further than the location specified, which I appreciated. It added additional knowledge to my search. Thank you for doing what you do! Thank you for telling me about your New Home Concierge Service. I submitted two cash buyers(300 and 400K) unique requirements and have setup multiple tours tomorrow with my buyers within a two-hour span. Needless to say, you have saved me much time and I greatly appreciate the service. Builder Boost has architected. Well done.